Family owned with over 35 years of success. In 1954 Phil Wallbank, a springmaker from England, immigrated to Canada with his wife Betty and young children to accept a foreman position at a spring factory in Ontario. It was a complete disappointment to discover that the factory turned out to be a few machines in a garage. Having sold everything to make the trip to Canada, returning to England was not an option. After a short time Phil decided to start his own company. 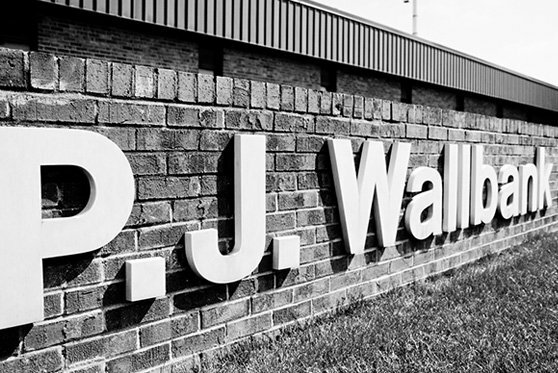 In 1955, PJ Wallbank Manufacturing was founded. With a few orders and a $300 bank loan he went to work in the basement of the old farmhouse in which the family was living. Springs were tempered in the kitchen oven and machines were made from old washing machine motors and other hardware scraps. PJ Wallbank Manufacturing became a successful spring company and remains in business today. In the late 1970’s, automakers were looking for a better option than using loose, single springs in their transmission clutches. In 1982, PJ Wallbank Springs Inc. (PJWS) was founded in Port Huron, Michigan by Mel Wallbank specifically to meet this need. Since then, PJWS has exclusively focused on the manufacture of spring packs. Today PJWS supplies spring packs to customers all around the world.